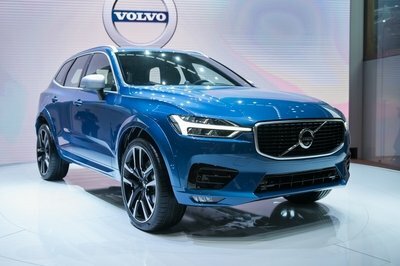 When you build a custom version of an SUV and later on claim it to be the “fastest of its kind,” the rationale after that is to go to a race track and validate your boasts. 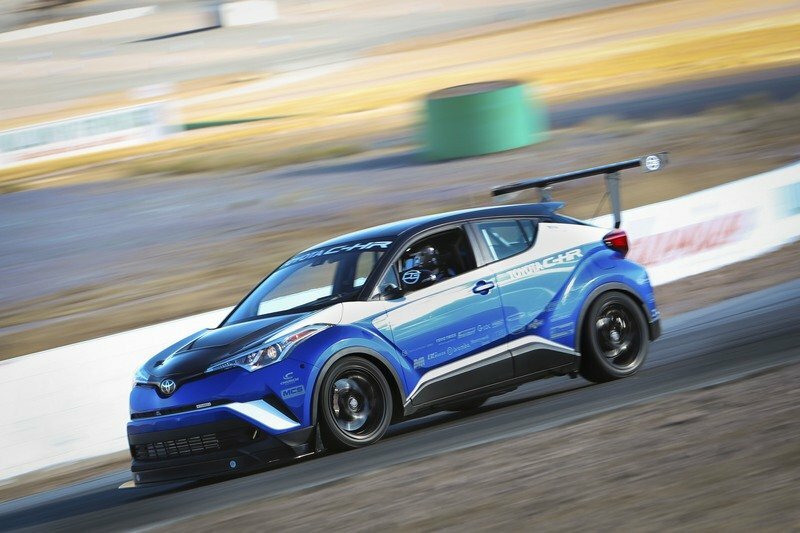 To his credit, that’s what Dan Gardner of Dan Gardner Spec wants to do with the race-spec, 600-horsepower Toyota C-HR, provided that Toyota allows him to do it. At the moment, Gardner says that the Japanese automaker has no plans for the R-Tuned C-HR past its SEMA showcase so it’s anybody’s guess where the power-packed SUV will show up next. That said, if Gardner had his way, it’d be at the Nurburgring where it can properly stretch its legs and make a run at the current FWD lap record of the Honda Civic Type R that the Honda hot hatch set in April 2017 with a time of 7:43.8. Not only does Gardner believe that the R-Tuned C-HR can beat the Civic Type R’s lap time, but he actually has “no doubt” that it can do it if given the opportunity to do so. That’s not to say that it can take the record away from the Civic Type R. The R-Tuned C-HR isn’t a production car so it wouldn’t be eligible for the record to begin with. 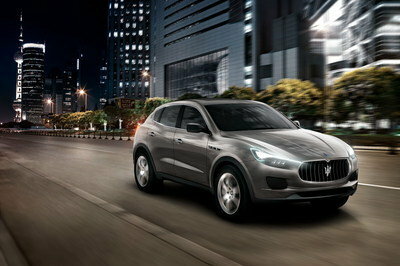 But Gardner still wants to do it, if only to let the world know that there’s truth to his “fastest SUV” claims. Considering what amount of aftermarket tuning the C-HR was subjected to, I’m prepared to believe him regardless of whether or not the SUV does hit the ‘Ring. 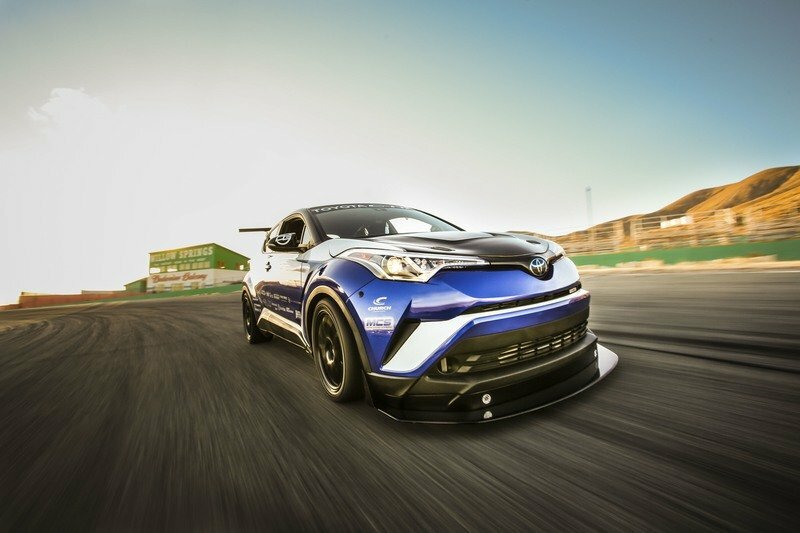 On the surface, the Toyota R-Tuned C-HR has a chance to not only break the Honda Civic Type R’s record but to smash it completely to smithereens. It certainly doesn’t look like a standard C-HR anymore. It’s dripping from head to toe with aerodynamic bits. 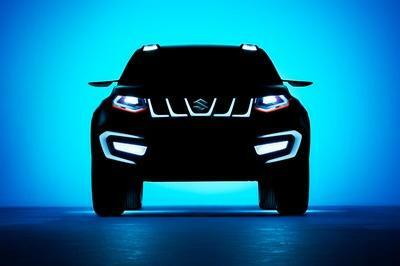 It’s been stripped down so that non-essential items don’t add unnecessary weight. It’s even been tuned to produce 600 horsepower, all thanks to the addition of a DG-Spec Garrett turbo compressor that’s responsible for breathing an extra 23 psi into the cylinders. 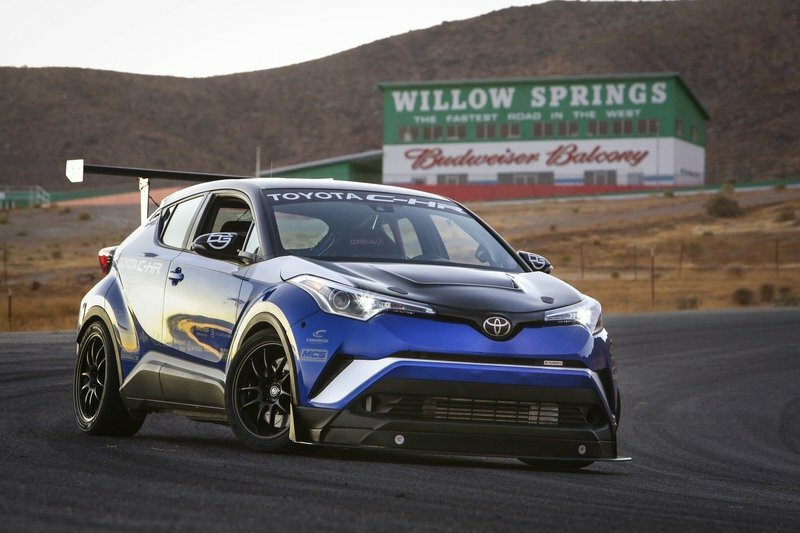 The result is an SUV that packs more power than a Porsche 911 Turbo S.
Speaking of the Porsche 911, the R-Tuned C-HR proved its prowess during a recent run at Willow Springs, where it posted a lap time of 1:25.22. That’s a faster time around the track than the Porsche 911 GT3 and the Lamborghini Aventador. Clearly, Gardner and his crew at Dan Gardner Spec built a powerhouse in the R-Tuned C-HR. It’s even more impressive when you consider just how much work the tuning house put into turning it into what Gardner refers to as a “supercar killer.” More than just the significant increase in power, Dan Gardner Spec also worked on the SUV’s handling characteristics, which is arguably one of its most weakest points. All told, the tuning shop spent close to 10,000 hours to complete the transformation and, for what it’s worth, the result validated all those hours spent turning the otherwise mundane C-HR into a legitimate powerhouse on wheels. Can it beat the Honda Civic Type R’s record lap time in the ‘Ring? I firmly believe that it can, but that’s just my opinion of it. And, I’m certainly not dismissing the Civic Type R either. The hot hatch doesn’t just own the Nurburgring lap time record for a FWD car. It also holds that same title in some of the world’s most notable race tracks, including Silverstone, Spa, Monza, Estoril, and the Hungaroring. Gardner’s firm started the build late last year, and he estimated that it took a total of around 10,000 hours. Although there are no plans for the C-HR R-Tuned after SEMA, Gardner said he would love to take the car to the Nordschleife for a lap record bid there. But, I’m taking Dan Gardner’s side on this one. 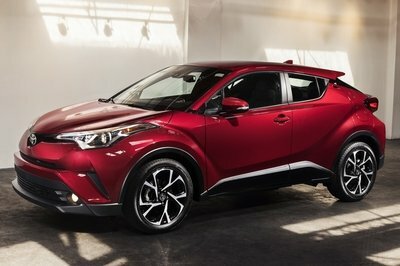 I think the R-Tuned C-HR has the mechanical and technical chops to post a faster lap time than the Civic Type R. I don’t have any facts to back up my position, just a strong belief that an SUV that’s as stripped down as the Toyota with close to double the power output will be able to lap the Nurburgring quicker than the Civic Type R’s record lap for an FWD machine. 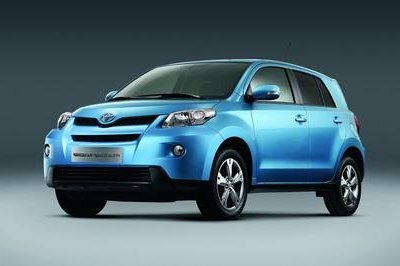 Here’s to hoping that Toyota gives it the green light to make the trip to the ‘Ring. I’d love to be proven right - or wrong. Read our full review on the 2017 Toyota C-HR R-Tuned. 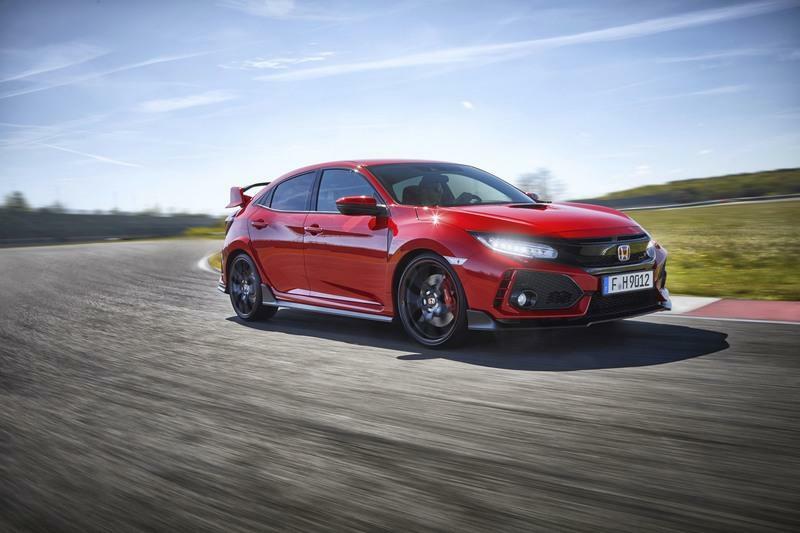 Read our full review on the 2017 Honda Civic Type R.